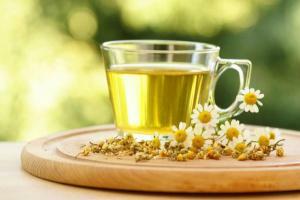 Harvest Health: Chamomile - a small herb with big actions! First up in my series of common herb profiles is one that is known and used world wide - Chamomile. 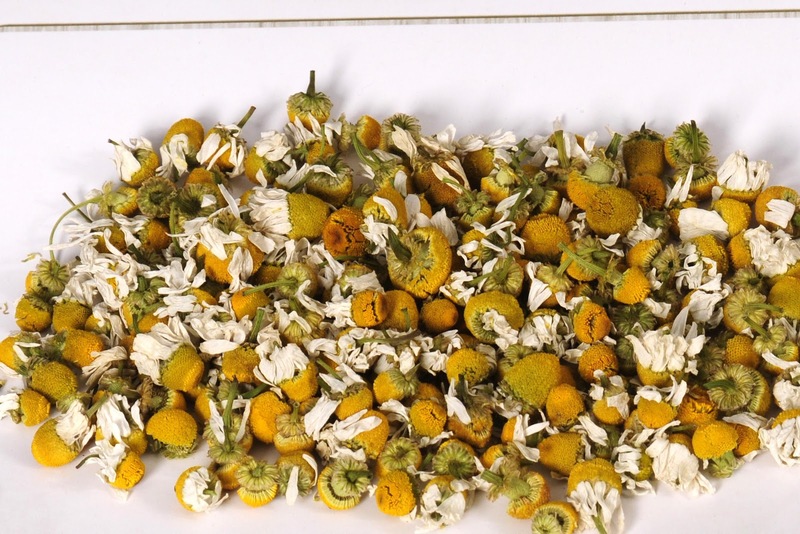 Chamomile (Matricaria recutita; Chamomilla recutita) is a herb that has been used since ancient times. Traditionally it was considered to have two specific fields of action: the nervous system and the digestive system. It works particularly well therefore on nervous conditions that affect the digestive system. Chamomile has always been used with children, indicating that it is considered a very safe and gentle herb. diaphoretic (promoting or inducing a sweat). You can see that is a lot of actions for a little common herb! 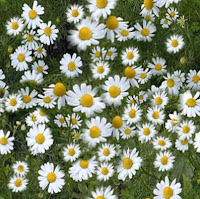 Do not under-estimate the humble chamomile. You can use chamomile yourself at home to also treat the above conditions. A cup of chamomile tea may not seem like strong medicine, but if it is made correctly with quality dried herb, it can have the same actions as outlined above. Beware though, a cup of chamomile tea made with a teabag from the supermarket is not the same thing! We are very lucky here in Victoria to have Southern Light Herbs, a family run business that grows and sources the very best quality herbs for their teas. Visiting their farm made me aware of the vast difference in quality between their organic loose leaf herbal tea, and what is packaged and sold as tea in teabags. Their tea is available from organic whole food shops, health food shops, and many naturopaths. Get yourself some real dried chamomile flowers. Add 1 - 2 tsp per person to a teapot or a cup with a lid. It is very important when making a cup of chamomile tea that the tea is enclosed either by a lid or in a teapot, or else many of the active constituents may escape. Leave to steep for at least 5 minutes. Make it as strong as you enjoy, but I think the stronger the better! Although night time is the classic time to drink a cup of chamomile tea to help with sleep, it can be enjoyed at almost any other time of day. Make a cup to soothe an upset stomach, to decrease period pain, or to relieve a tension headache. Chamomile - small herb - big actions!